The objective of St. Anne Sodality is to unite all the women of Our Lady of Grace Parish in religious, educational, and social activities. Assistance is provided to the Pastor in the spiritual and material undertakings of the Parish. All women of the parish are welcome as members of the Sodality. Activities include a Christmas Card raffle, Pot Luck Supper and Mardi Gras dinner. An annual retreat takes place for the spiritual enrichment of members. Meetings take place on the first Tuesday of each month at 7:00PM in Fioretti Hall. Adoration of the Blessed Sacrament precedes the meeting at 6:30PM in the church. Our Lady of Grace Holy Name Society is an organization of men of the parish who are committed to their Catholic Faith and respect for their country. The spiritual growth of its members and parish involvement are paramount characteristics of the Holy Name Society. They meet regularly throughout the year to plan their spiritual, social, and fund-raising activities. They are involved in any activity of the parish where their help is needed. Over the years, they have taken on the care of many of the financial needs of the church. They are also involved in the annual Feast of La Madonna della Difesa in various ways. Membership is open to all men of the parish 18 and over. Meetings are held on the fourth Wednesday of the month at 7:00PM in Fioretti Hall. The Chaplet of Divine Mercy is prayed every Saturday at 3:00PM in the church followed by the Rosary at 3:30PM. 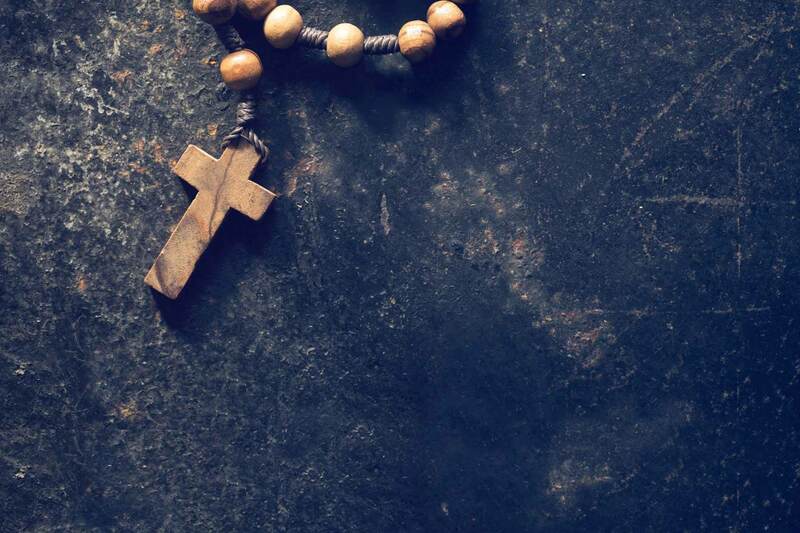 The Rosary is also prayed Sunday through Friday evenings during the months of May and October. The Rosary group meets outside in the Piazza during good weather or, if necessary, inside the church.